Famous Organ ToccatasTICKETS 1st 8 p.m.
Virtuose Strings & OrganTICKETS 2nd 8:15 p.m.
Virtuose Strings & OrganTICKETS 3rd 8 p.m. Famous Organ ToccatasTICKETS 5th 8 p.m.
Virtuose Strings & OrganTICKETS 6th 8 p.m.
Virtuose Strings & OrganTICKETS 8th 8 p.m. Famous Organ ToccatasTICKETS 9th 8:15 p.m.
Virtuose Strings & OrganTICKETS 10th 8 p.m. Famous Organ ToccatasTICKETS 12th 8 p.m.
Virtuose Strings & OrganTICKETS 13th 8 p.m. 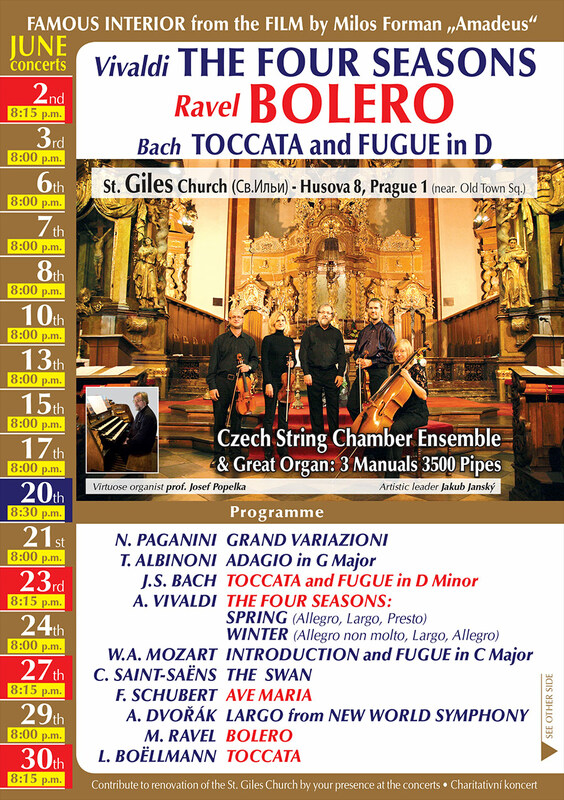 Famous Organ ToccatasTICKETS 14th 8 p.m.
Virtuose Strings & OrganTICKETS 15th 8 p.m. 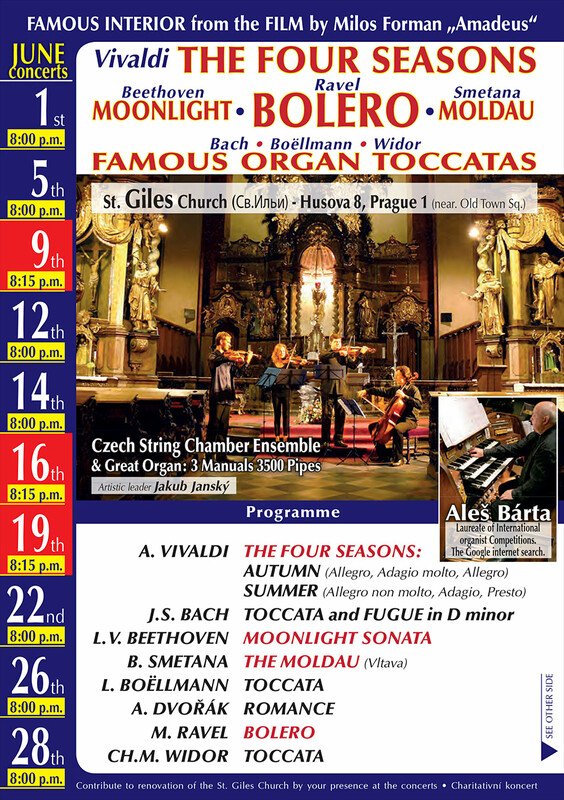 Famous Organ ToccatasTICKETS 16th 8:15 p.m.
Virtuose Strings & OrganTICKETS 17th 8 p.m. Famous Organ ToccatasTICKETS 19th 8:15 p.m.
Virtuose Strings & OrganTICKETS 20th 8:30 p.m. Famous Organ ToccatasTICKETS 22nd 8 p.m.
Virtuose Strings & OrganTICKETS 23th 8:15 p.m. Famous Organ ToccatasTICKETS 26th 8 p.m.
Virtuose Strings & OrganTICKETS 27th 8:15 p.m. Famous Organ ToccatasTICKETS 28th 8 p.m.
Virtuose Strings & OrganTICKETS 29th 8 p.m.
Virtuose Strings & OrganTICKETS 30th 8:15 p.m.